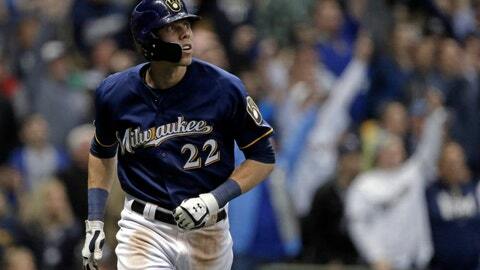 Believe it or not, Christian Yelich isn’t the only Brewers hitter raking. Meet Mr. Grandal. 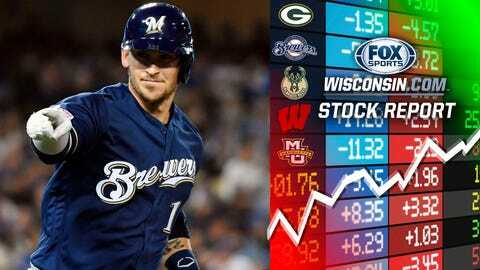 Signed to a one-year deal this offseason, Grandal didn’t collect a hit in Milwaukee’s season-opening series against St. Louis, getting off to a 0-for-11 start with his new club. But since then, he’s been unstoppable. Over the last 12 games, Grandal has collected a hit in 11 games and multiple hits in seven. He’s batting .512/.574/.927 over that span with 12 runs scored, five homers, two doubles, nine RBI and five walks. General manager David Stearns has done it again. Just a week ago, star guard Markus Howard announced his plans to return for his senior season at Marquette. But then, disaster. 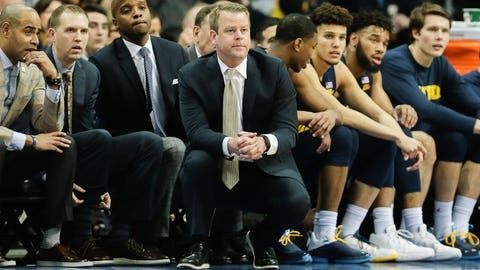 Sam and Joey Hauser, the second- and third-leading scorers for Marquette last season, announced their plans to transfer from the program Monday afternoon. Had the Hauser boys returned next year, the Golden Eagles would have returned all five starters and their top nine scorers from last year. For a second there, Marquette looked like a legitimate threat to make a run at the 2020 Final Four. Not anymore. Yelich won’t stop hitting dingers until the entire population of Wisconsin owns a puppy. The reigning MVP has been up to his usual MVP self of late, as he’s tallied five hits and four homers in the last two games alone. Yelich has homered in all six games against St. Louis so far this season, and 18 of his 25 RBI on the year have come against the Cardinals. It’s April 17, and Yeli has already shattered the Brewers’ franchise record for most homers against St. Louis in a single season (8). Goodness. The Milwaukee Bucks have a 1-0 series lead over Detroit, winning Game 1 by a score of 121-86 -- a 35-point margin. Giannis Antetokounmpo played all of 23 minutes. TWENTY-THREE. Coach Bud relied on his depth in Game 1, as seven different players scored in double figures. Just imagine what this team will look like next round when Malcolm Brogdon (hopefully) returns. 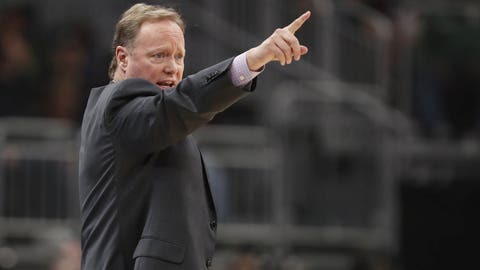 It’s all looking up for Budenholzer, who was named the Coach of the Year over the weekend after leading Milwaukee to an NBA-best record of 60-22 in his first season with the organization. 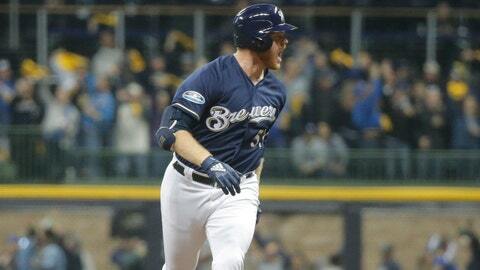 If Woodruff keeps this up, we’ll have to change his bio to “Brewers slugger” instead of “Brewers pitcher.” The right-hander helped himself in the third inning of Milwaukee’s 8-4 win over St. Louis on Tuesday night, sending a ground ball into right field for a two-run double. On the season, Woodruff boasts a .714 batting average (5 for 7) with two doubles, two RBI and a walk. Who said Shohei Ohtani was the best pitcher/hitter in baseball?